On Monday, Aug. 21, 2017, folks in North America will have a chance to see the Great American Eclipse. 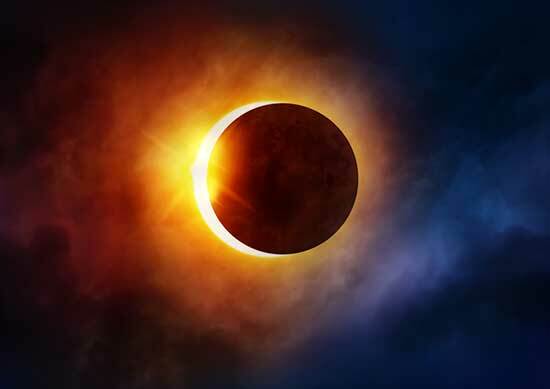 The whole continent will experience a partial eclipse lasting 2 to 3 hours. Halfway through the event, anyone within a roughly 70-mile-wide path from Oregon to South Carolina will experience a brief total eclipse. At that point, the moon will completely cover the face of the sun for up to 2 minutes 40 seconds. Parts of 11 states will experience a total solar eclipse. If you get to see it, make sure to take care of your vision during the solar eclipse. Looking directly at the sun during most parts of a solar eclipse can permanently damage your vision or blind you. Keep in mind that ordinary sunglasses, even very dark ones, or homemade filters are not safe for looking at the sun. Solar filters used in “eclipse glasses” or in hand-held solar viewers must meet a very specific worldwide standards. If you’re going to attempt to look at the eclipse, check out the American Astronomical Society website for information about where to get the proper eye wear or handheld viewers.